Divorce can be physically and emotionally draining experience. Indeed, many big decisions will be made during the process, among which is the type of divorce you and your spouse will have. The two most common types of divorce are contested and uncontested divorces. As the name implies, contested divorces are often more contentious and can potentially last for months or years. Alternately, an uncontested divorce takes much less time and money and is typically resolved relatively quickly. Uncontested divorces often progress smoothly as couples do not have disagreements regarding issues that may arise. Couples who can agree on issues like asset division, child custody, and alimony will be able to go through an uncontested divorce. Uncontested divorces also work well for couples with limited assets and no children. With relatively few things to divide, the divorce will require less paperwork and will be finalized faster. 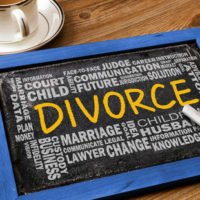 In general, an uncontested divorce is favorable as it allows the individuals to move on with their lives sooner while incurring fewer expenses. Contested divorces take longer than uncontested divorces due to the time needed to resolve various disagreements that may arise during the proceedings. Any disagreement in the arrangements of the divorce such as asset division, child custody, and alimony can lead to a contested divorce. During a contested divorce you may need to go through mediation or before a judge in order to resolve highly contested issues. One of the biggest benefits of going through a contested divorce is the fact that an outside party can help resolve a disagreement. This is also beneficial if you believe your spouse is not being forthcoming in disclosing all of their assets. If this is the case a judge will be able to review the evidence and make a determination if assets have been hidden. Any kind of investigation into this matter can be beneficial for the opposing spouse as the other individual often loses credibility in the eyes of the judge, thus, opening the door for a more beneficial settlement as the proceedings progress. Alternatively, there are some obvious downsides to a contested divorce, including the extended amount of time it may take depending on how many issues need to be resolved. During this process you will remain legally married until the divorce is finalized, therefore, in most cases, you will need to remain in contact with your spouse while the divorce progresses. With this increased time comes the increased financial expenditure needed to continue through the divorce process. Attorney and court fees will often be significantly higher in a contested divorce due to length and complexity of the proceedings. If you are going through a divorce it is important that you seek the guidance of an experienced family law attorney. Regardless of how contested the divorce may be, an attorney can work to protect the future of yourself and your children. 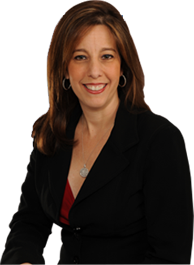 If you are in need of representation contact Attorney Sandra Bonfiglio in Fort Lauderdale today. Attorney Bonfiglio will review your unique situation and discuss with you the best course of action in your circumstance. Call today for a free consultation.